A University of California, Riverside assistant professor has combined photosynthesis and physics to make a key discovery that could help make solar cells more efficient. The findings were recently published in the journal Nano Letters. Nathan Gabor is focused on experimental condensed matter physics, and uses light to probe the fundamental laws of quantum mechanics. But, he got interested in photosynthesis when a question popped into his head in 2010: Why are plants green? He soon discovered that no one really knows. During the past six years, he sought to help change that by combining his background in physics with a deep dive into biology. He set out to re-think solar energy conversion by asking the question: can we make materials for solar cells that more efficiently absorb the fluctuating amount of energy from the sun. Plants have evolved to do this, but current affordable solar cells - which are at best 20 percent efficient - do not control these sudden changes in solar power, Gabor said. That results in a lot of wasted energy and helps prevent wide-scale adoption of solar cells as an energy source. Gabor, and several other UC Riverside physicists, addressed the problem by designing a new type of quantum heat engine photocell, which helps manipulate the flow of energy in solar cells. The design incorporates a heat engine photocell that absorbs photons from the sun and converts the photon energy into electricity. 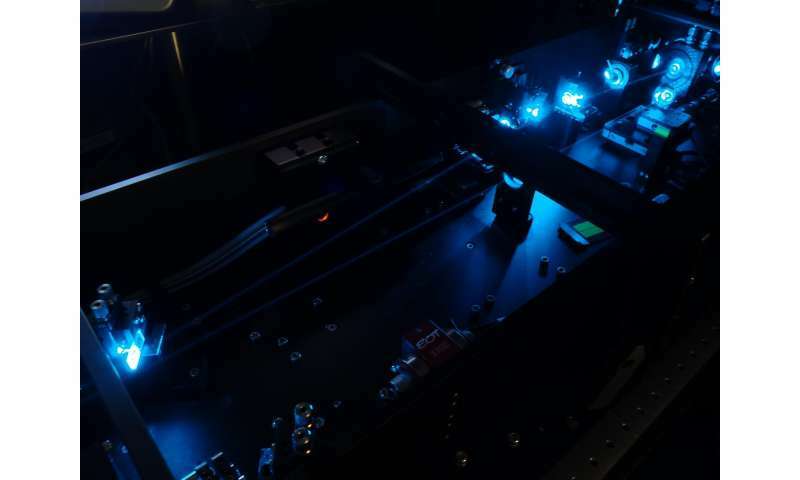 Surprisingly, the researchers found that the quantum heat engine photocell could regulate solar power conversion without requiring active feedback or adaptive control mechanisms. In conventional photovoltaic technology, which is used on rooftops and solar farms today, fluctuations in solar power must be suppressed by voltage converters and feedback controllers, which dramatically reduce the overall efficiency. The goal of the UC Riverside teams was to design the simplest photocell that matches the amount of solar power from the sun as close as possible to the average power demand and to suppress energy fluctuations to avoid the accumulation of excess energy. The researchers compared the two simplest quantum mechanical photocell systems: one in which the photocell absorbed only a single color of light, and the other in which the photocell absorbed two colors. They found that by simply incorporating two photon-absorbing channels, rather than only one, the regulation of energy flow emerges naturally within the photocell. The basic operating principle is that one channel absorbs at a wavelength for which the average input power is high, while the other absorbs at low power. The photocell switches between high and low power to convert varying levels of solar power into a steady-state output. When Gabor's team applied these simple models to the measured solar spectrum on Earth's surface, they discovered that the absorption of green light, the most radiant portion of the solar power spectrum per unit wavelength, provides no regulatory benefit and should therefore be avoided. They systematically optimized the photocell parameters to reduce solar energy fluctuations, and found that the absorption spectrum looks nearly identical to the absorption spectrum observed in photosynthetic green plants. The findings led the researchers to propose that natural regulation of energy they found in the quantum heat engine photocell may play a critical role in the photosynthesis in plants, perhaps explaining the predominance of green plants on Earth. Other researchers have recently found that several molecular structures in plants, including chlorophyll a and b molecules, could be critical in preventing the accumulation of excess energy in plants, which could kill them. The UC Riverside researchers found that the molecular structure of the quantum heat engine photocell they studied is very similar to the structure of photosynthetic molecules that incorporate pairs of chlorophyll. 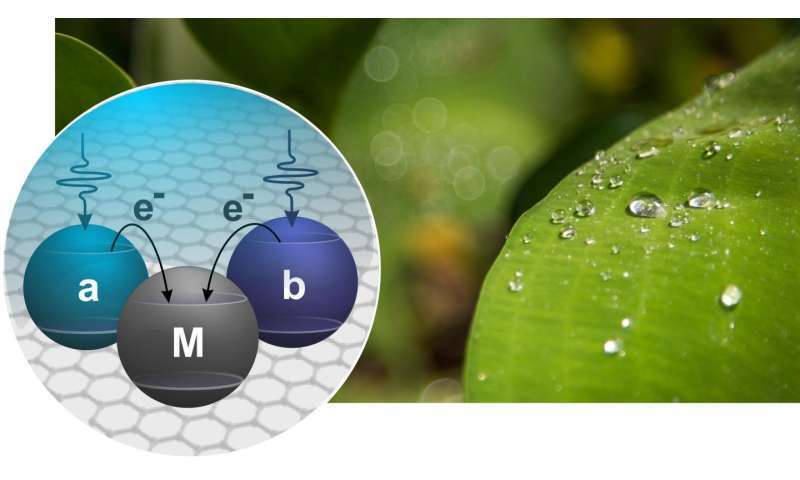 The hypothesis set out by Gabor and his team is the first to connect quantum mechanical structure to the greenness of plants, and provides a clear set of tests for researchers aiming to verify natural regulation. Equally important, their design allows regulation without active input, a process made possible by the photocell's quantum mechanical structure. The paper is called "Natural Regulation of Energy Flow in a Green Quantum Photocell." It doesn't appear that they have a working heat engine solar cell yet. So, will solar power now not cost many times the cost of conventionally-generated power? Oil prices going up. The conversion process to renewables is on track. How many Bolts will have waiting lines? What costs many times "conventional" power are coal and nukes now. Wake up. Go look at Excelon and the other utilities stuck with costly and dangerous units. Solar power no longer costs 'many times' what conventionally generated power costs. PV is now roughly equal in most places, and in many sunny places photovoltaics now has the lowest cost per kWh, even without subsidies. Look up recent power auctions in Chile or the Middle East, for example. The remaining problem with photovoltaics is intermittency (the sun is not always shining) rather that cost. (On the other hand, solar thermal can be stored but still costs a few times what fossil fuel power costs, and won't reach parity for roughly a decade). It is to my understanding that if an object appears a curtain color, it is reflecting that color from the visible spectrum not absorbing it. Therefore if a plant appears green it is absorbing all other colors and reflecting green. So photosynthesis must function on reducing the green wavelength and increasing others. Does this mean the middle class taxpayer can stop subsiding rich people who put solar panels on their houses then claim $0.90kwh from the power companies if they sell back to the grid? Ya know: Solar panels are so cheap they are well within the range of the 'middle class tax payer' to put on their roofs as well. (Heck, everybody and their dog seems to be putting them up over here). ... stop subsiding ... $0.90kwh... if they sell back to the grid? Are you seriously claiming that a significant percentage of recent solar installations are receiving $0.90 per kWh if they sell back to the grid? If so, please supply a link to back up your claim. If you are referring to existing commitments for solar installed years ago when solar was expensive, then yes, governments did offer some ridiculously high incentives; no, governments shouldn't break the commitments made then (unless fraud is shown); but yes, governments should not (and don't) currently offer subsidies anywhere near that high. I would be happy if the governments stop subsidizing solar and wind as long as they ALSO stop subsidizing coal, nuclear, gas and oil (including $6 Trillion in recent middle-east wars - or do you believe Iraq was actually about 'freedom'?). And non-waste biofuel subsidies harm both the environment and the economy and should be eliminated immediately regardless.